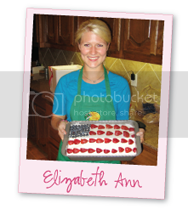 Elizabeth Ann's Recipe Box: Tess: Almost 3 months! These pictures are precious! I know I am a little late but congrats on your baby girl!! That sweet, sweet smile! What a little heartbreaker!